Why Can’t Canucks Bet On Single Games? Home » Sports News » Why Can’t Canucks Bet On Single Games? Parlays are OK to wager on all over Canada but, you can’t place a legal bet on a single game anywhere in the country. Go figure. For the time being, sports bettors in Canada can only bet legally through parlay form via provincial lotteries. 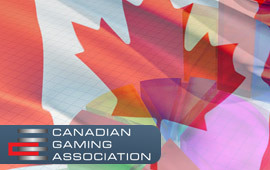 With that in mind, it is no wonder that it is estimated that over $23 Billion has been wagered illegally by Canadians while supporters have been petitioning the Canadian Parliament to allow single game wagering. This was his first opportunity to bring up the issue once again after the summer break and Prime Minister Stephen Harper’s recent discontinuance of a session of Parliament. This basically puts the whole question of wagering on single games on hold until the governing body meets again. The issue is at the forefront of many discussions in the nation’s capital. The way the Canadian system usually works, once a bill has passed unanimously in the House, it generally flies through the Senate with little or no problem at all. Canadian lawmakers opposed to the move cited concerns like match fixing and the vulnerability of players to corruption because their wives are too greedy. Yes, they actually said that. Believe it or not, this is the kind of reasoning that is holding up the change of policy which would leave Canadians free to wager on single games as they please. Bettors in Canada are currently wagering over $14 Billion (with a B!) annually on sporting events and they are doing so illegally through offshore sports books and local bookmakers who may or may not be connected to organized crime. While it is a mistake to assume that every person out there doing a little bookmaking on the side is hooked up with the mob, it is undeniable that some still are. So, Canadian Bill C-290 sits on the back burner again for awhile. It’s not quite starting over again, but it is defiantly another hold up. Perhaps this time around cooler heads will prevail and Canucks will get the wagering freedom that they deserve.